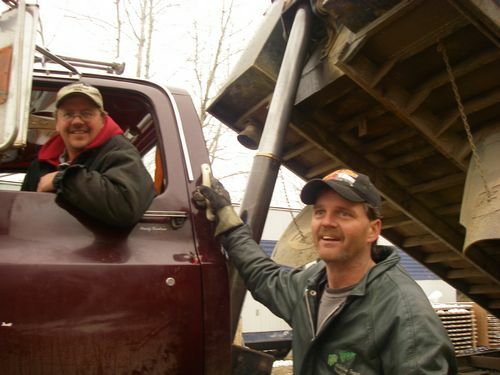 These guys are hauling gravel for the new road on the Hammond Reef Project. They're named the 'pit boys' because they're camp is set up in the bottom of a gravel pit. 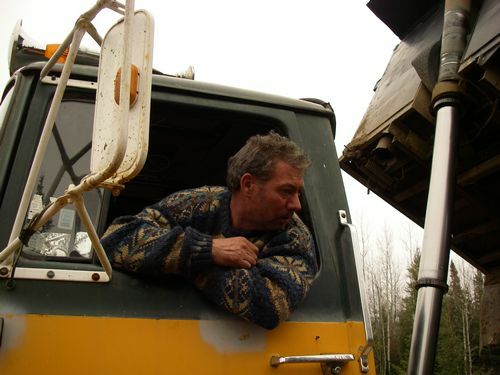 Photo: Mark Coulson (or Molson), who owns the three dump trucks.